Dwyane Wade #3 of the Miami Heat brings the ball up court against the Charlotte Bobcats at Time Warner Cable Arena on January 3, 2011 in Charlotte, North Carolina. The Heat defeated the Bobcats 96-82. 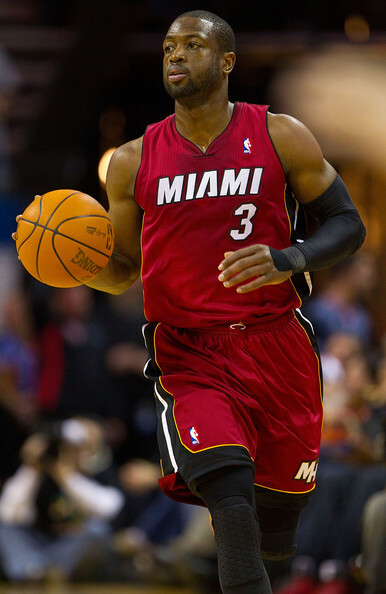 Dwyane Wade wears his Miami Heat tank top with pride.